Selma, Alabama, most recognized for its part in the Civil Rights Movement in the 1960s, is the county seat of Dallas County. It is in the Black Belt Region of South Central Alabama and is situated on the Alabama River. The 2010 U.S. Census Bureau recorded nearly 21,000 citizens of Selma. A hotbed of activity during the Civil Rights Movement, one of Selma's most notable events was the Selma to Montgomery March in 1965. This historic march started in Selma on "Bloody Sunday" and culminated with 25,000 people entering Montgomery on the last day of March to press for equal voting rights for all citizens. The march was a key factor in the Voting Rights Act of 1965, which is federal legislation that passed in the summer of 1965 and prohibits racial discrimination during the voting process. Selma was also an important arms manufacturing and iron ship building center during the Civil War. In 2013, The Alabama Transportation Director noted 605 automobile accidents in Selma, including 197 injuries but no deaths. Dallas County, for which Selma is the county seat, recorded 1,023 automobile accidents with eight deaths and 386 injuries. These accidents, injuries and deaths are reflective of the fact that those in Selma are as likely as anyone in the state to be involved in an automobile accident that results in serious injury or death. Should you or a loved one be involved in an automobile accident, your first priority should be seeking medical attention. This should be done as soon as possible after the accident, preferably immediately. Not only are your safety and health paramount, but your attorney will need records should you be eligible to receive compensation for your injuries. Were you not to receive medical attention, the insurance company would assume there was no injury or that your injury was minor and would use a lack of medical records against you. Once you have taken care of your medical needs, you should call the Selma car accident attorneys at Hollis, Wright, Clay & Vail, P.C. to determine how you should proceed. 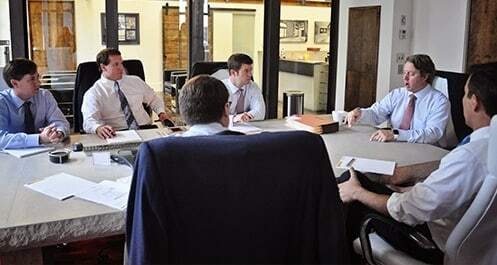 The skilled attorneys at Hollis, Wright, Clay & Vail, P.C. are centrally located in Birmingham and convenient to all who live in Alabama, including Selma residents. Those injured in an automobile accident are entitled, under Alabama Law, to claim damages and receive compensation for lost wages, medical bills, pain and suffering and emotional distress. The attorneys at Hollis Wright are well versed in Alabama Law and will ensure you receive the compensation to which you are entitled. Our attorneys will also take into consideration if there are extenuating circumstances that contributed to the accident, including texting and driving, drunk driving or distracted driving. Hollis Wright will invest heavily in your case, using significant resources- financial and otherwise- to determine the root cause. This may include the use of engineers who will assist in reconstructing your accident. With a combined experience of more than 100 years, the Selma automobile accident attorneys at Hollis, Wright, Clay & Vail, P.C. are some of the most accomplished and experienced attorneys in the state in pursuing injury claims involving motor vehicles. They are set apart by their vast experience and their genuine concern for each client. If you'd like to speak to one of our attorneys, please call 844-529-8255 or locally, 205-324-3600. Remember, there is no charge for speaking with an attorney. Our cases are handled on a contingency-fee basis, which means we don't get paid unless we successfully recover money for you.